I am originally from the Northern Suburbs of Johannesburg, and grew up in an area where Italian was the second most spoken language. I am a not quite third generation South African – my paternal grandmother was born here, but not my father. My maternal grandparents were immigrants, and my mother was born here. Afrikaans was not a language I succeeded at grasping. Then, over 10 years ago we moved to what was known as the Boland. We border on the Overberg – two very Afrikaans areas. And, in order to do business, I had to improve my Afrikaans. 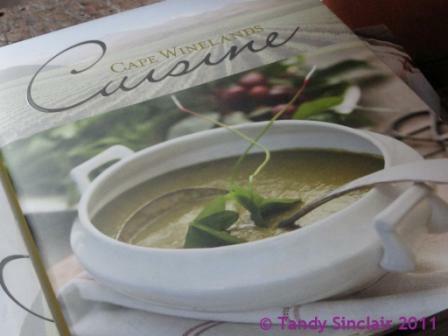 I am now confidently twee taalig (bilingual) to the point where I could understand the wonderful interview format of the launch of Cape Winelands Cuisine. 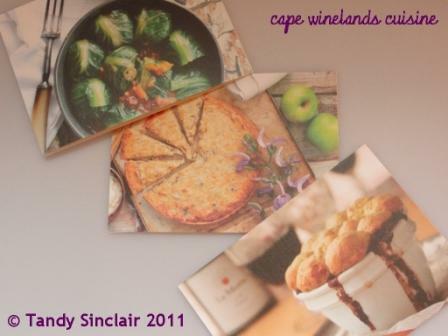 This recipe book combines the history of the region and celebrates the cultural heritage of the Cape. It reflects the development of food since the arrival of Jan van Riebeeck in the 17th Century. Hetta van Deventer has showcased the very best the region has to offer. The book will appeal to both locals who want to know more about the historical foods of the area, as well as tourists who want to take home a memento of their vacation in our beautiful country. 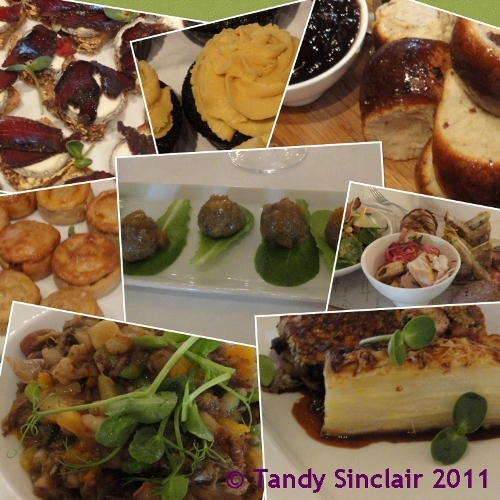 The recipes are about traditional South African foods with the focus on the Cape Winelands. One of the most touching aspects of the interview was how the recipe book was referred to as their baby! Hetta, Mickey and Jacques have created a large baby but despite its size, it is not fully inclusive as there are too many recipes to have put them all in the book. It does however include all the popular dishes, not only the common ones. The recipes keep in mind that not everything is readily available but it does include South Africa’s heirloom vegetables. These old fashioned recipes have been reworked to suit today’s modern palate. Seasonal produce is very important and the regional concept is specific to the book. The dishes are Afrikaans in origin and the Afrikaans names have been used. There is something in it for everyone with a concept of the family table being emphasized. Our arrival was marked with some interesting dishes and refreshments. I did not try the ginger beer with rose geranium, but I am definitely going to make myself this drink the next time we have a hot summer’s day. The oyster and marrow pie was a unique burst of flavour in my mouth. 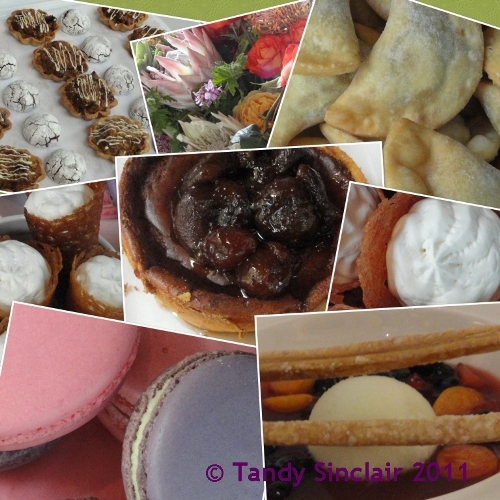 I found them a bit sweet and also steered away from the traditional cupcakes – kolwyntjies – and mosbeskuit on offer. I decided to save my sugar allocation for dessert and I was glad I did. Lunch started with a Cape bokkom salad. It was a first for me trying dried salted fish and it is something I would use again in my cooking. The pickled fish was lovely and when I told Dave I had eaten pickled fish he was amazed as he did not know I liked it. He was more amazed by this than by the fact I had also tried offal brawn. The mini Cape meatballs, better known as frikkadelle were not to my taste. Rolpens is another offal dish, known as andolie by the French Huguenots. This dish was not only introduced to the new world here, but also in Louisiana where andouille is a Creole ingredient found in jambalaya. I tasted the pickled tongue which reminded me of my grandmother and enjoyed the lovely homemade bread. I was slightly baffled that we were not given a choice of main courses but thankfully Linda suggested we share and I got to taste her lovely pan fried Franschoek trout which was served with a sweetcorn fritter, a red wine sauce and turnip dauphinoise. My sweet and sour pumpkin and lamb stew was no match for the fish, but the accompanying wine and company more than made up for it. The dessert of sweet soup with fruit sorbet and fresh berries went down a treat and was followed by coffee. Coffee was accompanied by biscuits, Cape fruit tarts, macaroons, apple marmalade, kwartiertertjies (samosas), oblietjies (small waffles) with cream and cheese tart and preserves. I managed to get a small collection to bring home for David and he really enjoyed the lot. Our lovely gift included these recipe cards, and I am looking forward to trying them out. Thank you to La Motte for inviting me to this launch. Disclosure: I was an invited guest at the launch and my invitation was not dependent on me writing a blog post. This post is in line with my blogging policy. 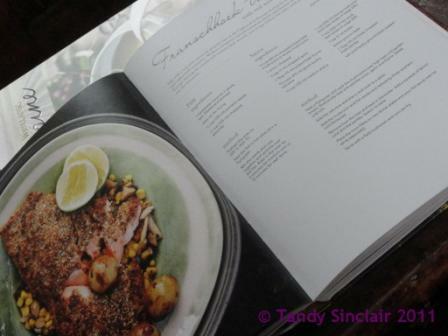 Tandy, thank you for the very complimentary review and sharing recipes. Hope you visit soon again. It sounds wonderful and traditional, Tandy!! How very interesting…I love virtually traveling to places I’ve never been. And you’ve written it so well!! Brilliant review – and fascinating to learn a little more about you. I know so little about South African culture, history and cuisine and it´s great to start collecting little pieces of the jig saw! What a fabulous review! Thanks for sharing, Tandy! I’m a big sucker for dried salted fish of all cultures! oooh, sounds like a real South African feast! Wow, what a lot of food. As always a great review Tandy. Really interesting – especially about your upbringing where Italian was so prevalent. Amazing how many languages are spoken in SA. A fab review, as always. I am absolutely mad about bokkoms!